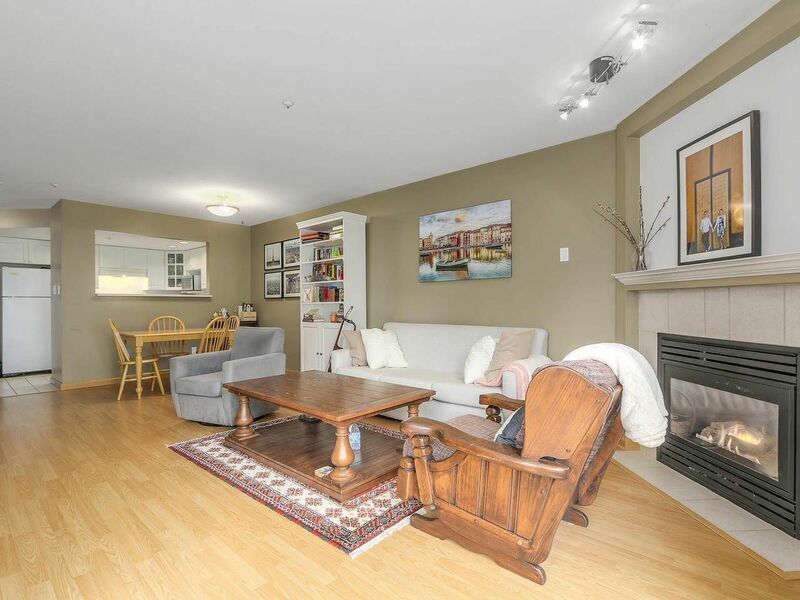 Oversized 1 bed/1 bath condo facing the peaceful tree lined courtyard in "Sixteen Willows". 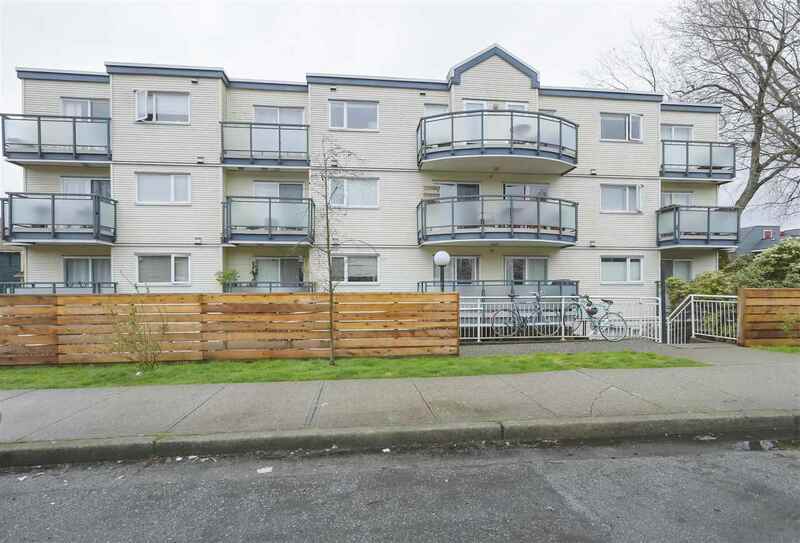 Centrally located between Oak and Cambie Street, this immaculately kept condo has updated flooring, paint, and a new washer/dryer. The spacious layout includes a master bedroom which easily accommodates a king size bed, with room to spare! A spacious living and dining area makes entertaining relaxing and a breeze. The kitchen features plentiful counter space with gorgeous white cabinets. Everything you need is walking distance away in a great part of town, including groceries, shopping, entertainment, and Douglas Park. You'll fall in love the moment you walk through the door.